Don’t worry, there’s plenty of room on the couch for you to sleep! Pugs are connoisseurs of coziness. 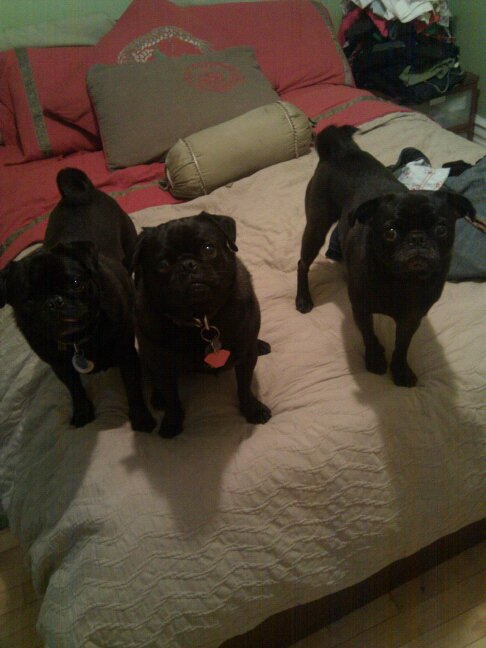 They are quite good at identifying the most comfortable place in the house (probably your bed), and making it their own. For such small dogs, they sure can take up a lot of space when they want to! Who could say no to some serious snuggle time with your best friends? 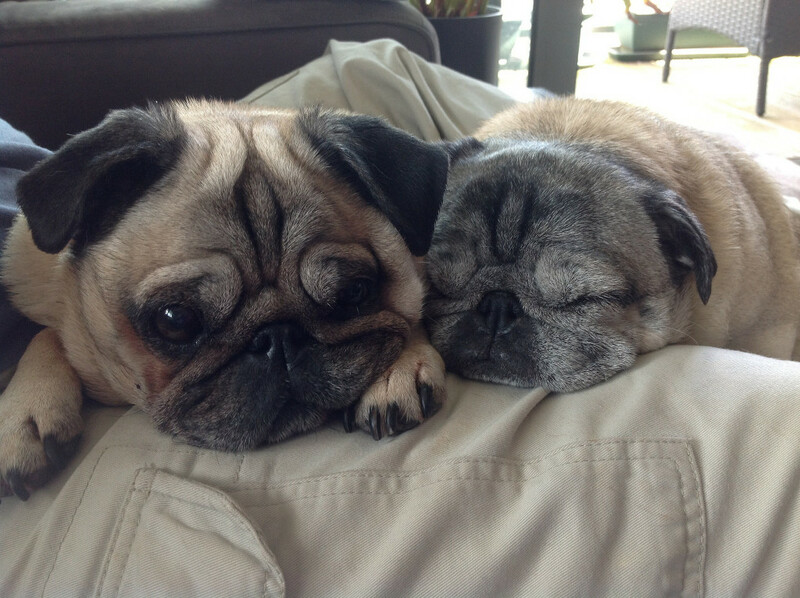 We love cuddle time with pugs! Don’t mind me, just stealing your hair tie… and your heart! 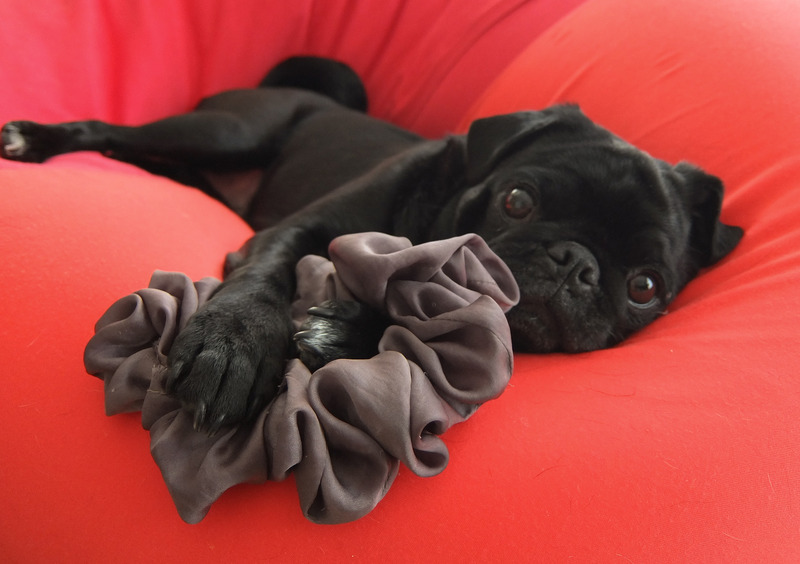 Most pug owners have had at least one experience where they are looking for that other sock, an important paper, or their favorite hair accessory, only to discover that it has been commandeered by their adorable pug. 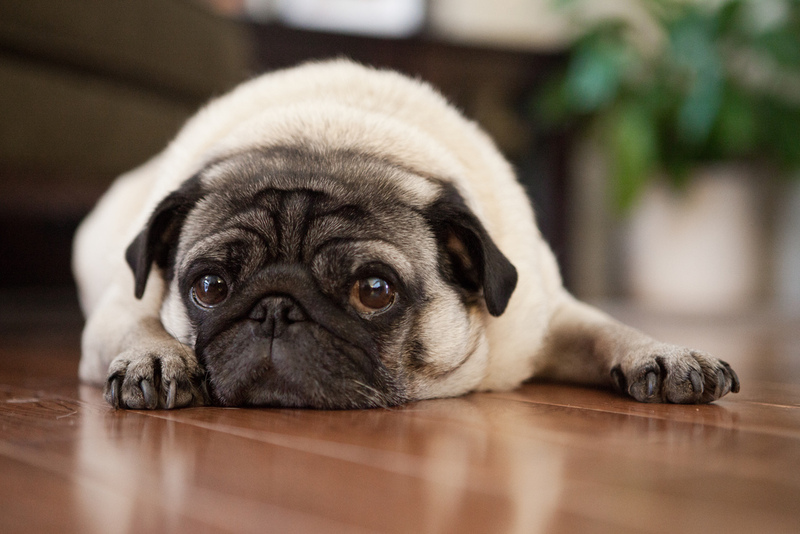 Even though you upturned the whole house looking for that one thing, you can’t even get upset at your pug for sneaking away with it (who knows how many hours ago). They were just keeping it safe for you until you retrieved it, right? 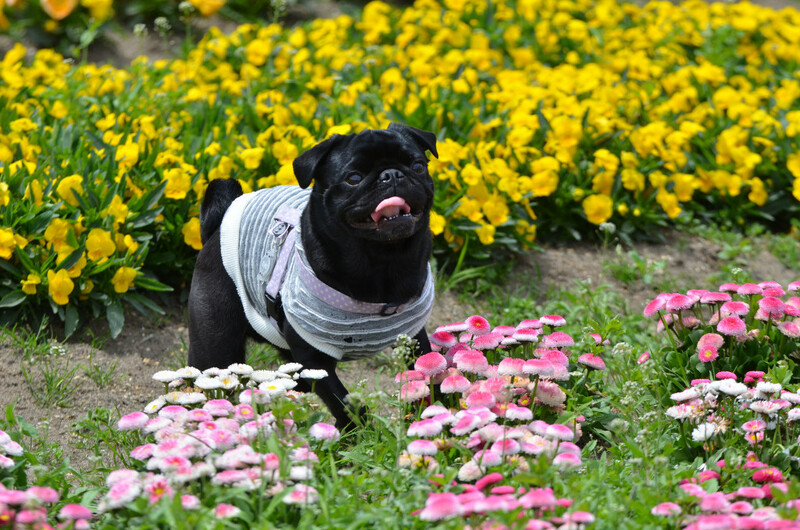 Pugs are great models, patiently enduring photo endless photo sessions. (So cute, just one more picture!) It’s probably because they know that once the clicking of the shutter stops, they are in for some serious cuddling and maybe even a treat! 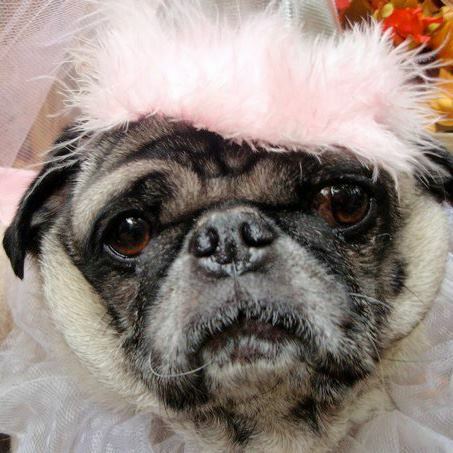 Pugs look fantastic in most colors, but there’s something about this beautiful brown-eyed girl dressed up in frilly pink with a plume of feathers that particularly melts our hearts! 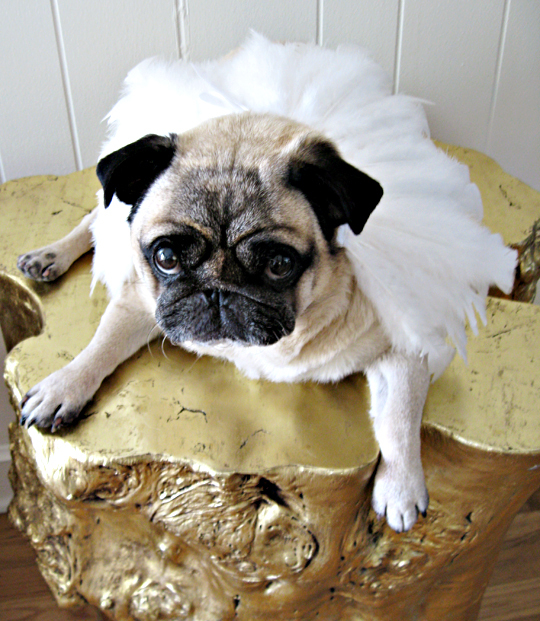 She’s a gorgeous pug princess indeed! 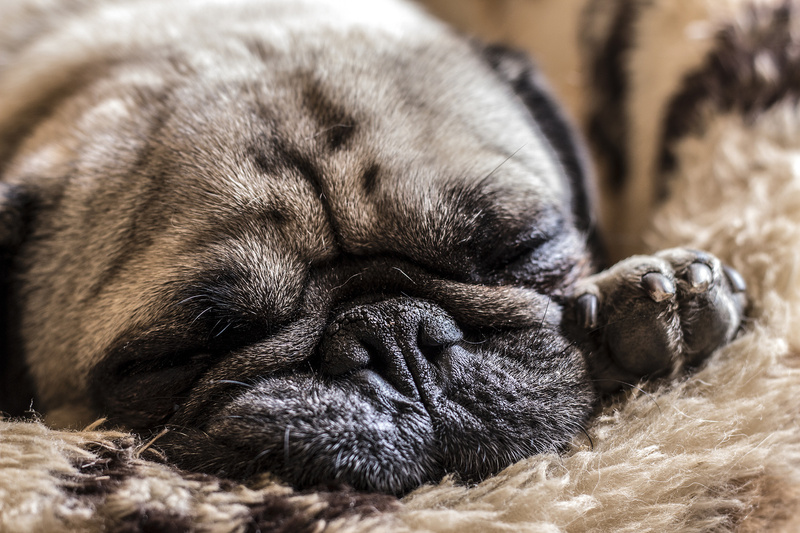 Sometimes you just have to give in to that impulse to roll over and go for that extra hour of sleep on a Sunday morning. The morning chores can definitely wait! Just guarding your chair until you return! 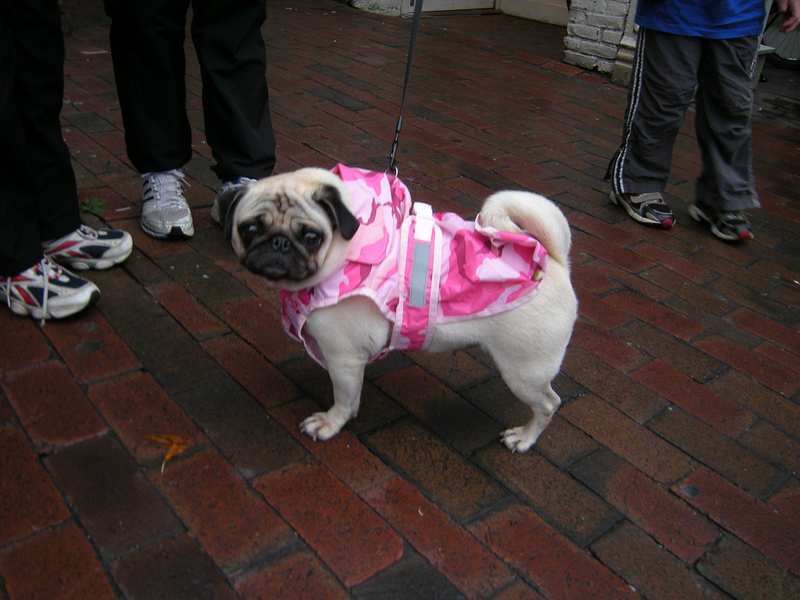 Pugs may not be the best choice as guard dogs since they are more delightful than intimidating, but they can definitely keep your seat warm for you until you come back (and then move them to your lap!). 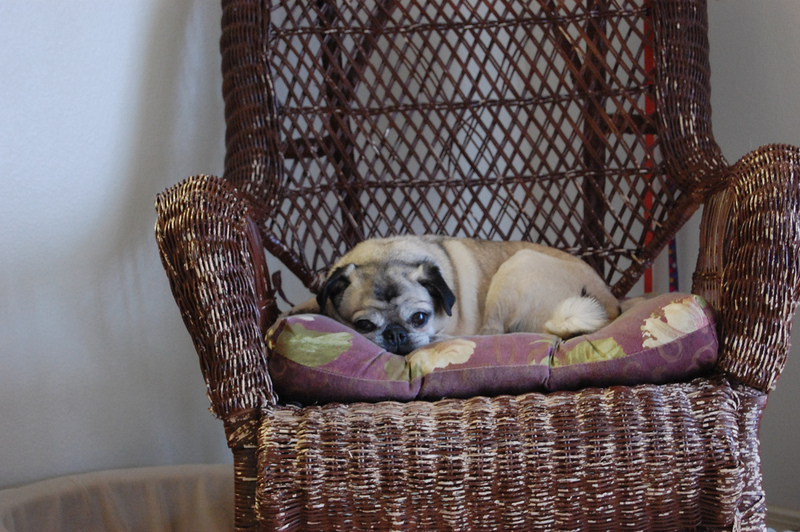 Check out this pug dutifully keeping watch over his chair!